Since more than 10 years we have been arranging accommodations on La Gomera. We can offer suitable apartments, studios and holiday homes for every budget. We are proud to offer more than 140 different holiday rentals on the whole island to our guests! But where to stay on La Gomera? No matter whether you are looking for an apartment in Valle Gran Rey, a villa in San Sebastian or a finca in Hermigua - we will always find something suitable for you. As we have our office located directly on La Gomera, you will always have a competent English-speaking contact person on site during your stay. 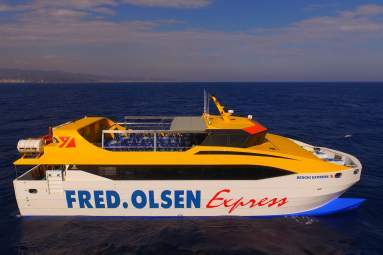 And if required we can also arrange the ferry transfer from Tenerife to La Gomera or a cheap rental car. We are very pleased to offer our services to you and ensure that your stay on La Gomera will become a wonderful travelling experience - take advantage of our local expertise and book your accommodation on La Gomera with Canarianfeeling. Where to stay on La Gomera? In the picturesque village of Agulo, the "Pearl of La Gomera", the tastefully decorated apartment "Veronica" is located in the small apartment building "Villa de Agulo". The recently redesigned apartment can accommodate up to four people. What to do on La Gomera?